Buying a new pair of shoes is not as easy as you may think, especially when it comes to purchasing new dress shoes. The main reason: There are just so many to choose from that range of features, price, and style. So how are you supposed to find a pair that will work the best for you? To help you in your search, we are going to be reviewing the Clarks Women's Rosalyn Belle Dress Pump Shoe. We hope to go through this shoe in depth, providing you with information to help you decide whether to buy or not. 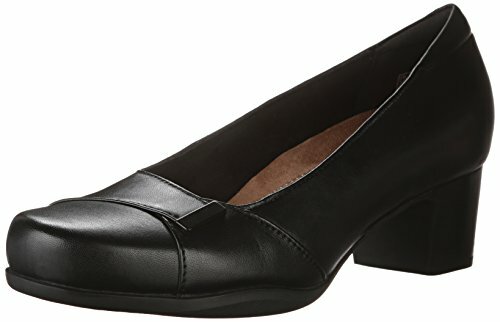 The Clarks Women’s Rosalyn Belle Dress Pump Shoe comes with a lot of features to enhance the way you look in both professional and casual settings. What struck us first about these shoes was the fantastic look. If you want to feel comfortable, while still exuding a professional look, these may be the perfect shoes for you. These shoes are available in four colors to choose from: black, dark brown, navy, and brown. This gives you options, depending on what type of outfit you will be wearing them with. Because of these options, it does feel like these Clarks women’s shoes are more customizable than many others on the market right now. These Clark’s dress shoes are made out of leather. They also have a rubberized sole which is perfect for not marking up floors. This is important, depending on where you are going to work, and what type of flooring they have. Rubberized soles are also known to be non-slip, and you will never have to worry about slipping or sliding on waxed floors. These shoes come with a toe-pump that has been rounded and also a strap that is very decorative around the toe. The collar of the shoe has been lightly padded and it comes with a heel that is stacked and a bit chunky. The insole of the shoe has been molded with Ortholite, making it extremely comfortable. It is also equipped with Clarks Plus technology for that added comfort level. Buying a new pair of shoes comes down to your own personal preference. What exactly do you want in a pair of shoes? Do you want comfort over quality? Do you care more about the look of the shoe than the comfort level? You must decide for yourself the answers to these questions, as it will help narrow your search. We recommend that even if you buy online, you should go in person to a store and walk around in the pair you want. There is a huge difference between seeing a pair of shoes that you want, and actually wearing them to see if they will work. If the pair of the shoes that you want is only available online, make sure they either have an exchange or return policy in place in case the shoes arrive and they do not fit, or they are not as advertised. This will save you a lot of heartache down the road. 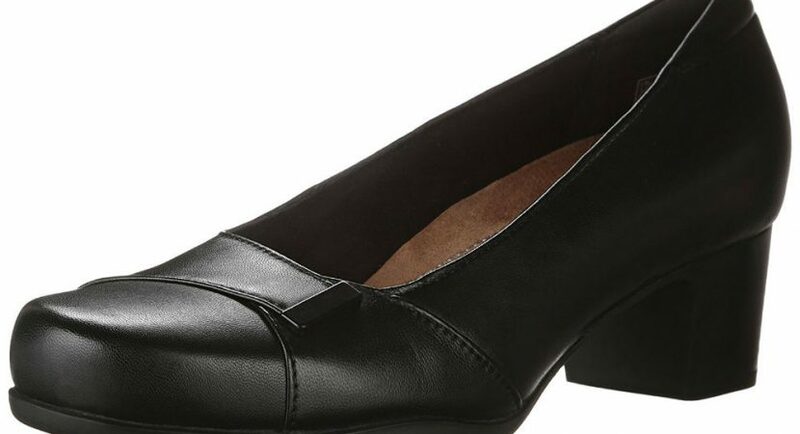 With that being said, we believe the Clarks Women's Rosalyn Belle Dress Pump Shoe is a good standard dress shoe for women and is competitively priced. We love the look of these shoes and really think they stand out when compared to others on the market. We were really appreciative that these shoes come in a variety of colors. These shoes are comfortable for the bottom of the foot and we liked the raised heel and how chunky it was. However, we did find that these shoes were not all-round the most comfortable, especially in the upper front part of the shoe. We found that the material hurt our toes and it was not the most comfortable. If you are willing to overlook this matter, they are quite stylish and maybe once you break them in they will feel a lot better.